Malaga is a seafaring town with three millennia of history since the ancient Phoenicians established their first port in this protected bay. This open sea character also has characterized the people of Malaga, who are affable and open welcoming foreigners. 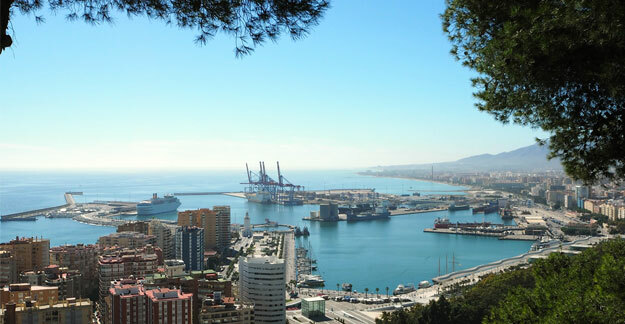 Malaga port receives each year a high volume of cruise ships and is currently the second cruise port in the Peninsula after Barcelona. The port has undergone in recent years a major refurbishment that has transformed it from a typical fenced port with heavy machinery into a beautiful Mediterranean Marina with a wide range of leisure only a few meters from the historic city centre. 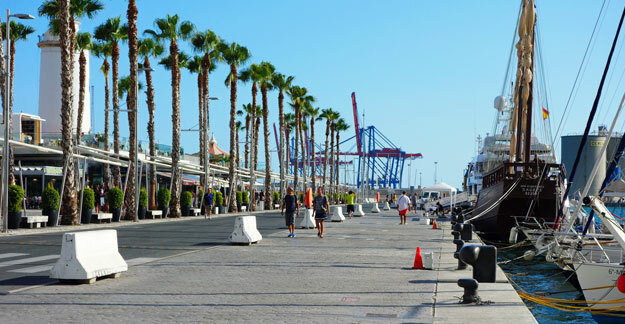 From the central Plaza de la Marina you enter Pier Two (Muelle Dos), also known as Palmgarden of Surprises (Palmeral de las Sorpresas). There are berthing the smaller cruise ships which have requested direct access to the city. 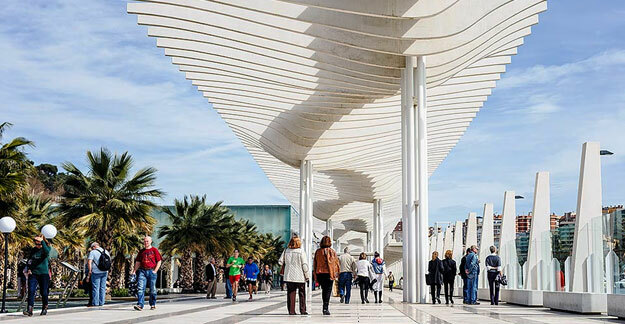 In this area with a very innovative design there have been planted hundreds of palm trees, there are gardens, fun fountains and play areas and therefore it’s ideal for a family walk. You can also visit the Museum Aula del Mar. Carrying on the walk the visitor arrives at Pier One (Muelle Uno) where are mooring pleasure boats and yachts. There first stands out a large colourful cube that houses the Pompidou Museum in Malaga. Pier One is the commercial area of the harbour, with many shops, bars and restaurants, among which is outstanding the restaurant of the Michelin star chef José Carlos García, next to the chapel of the port. In addition there is an underground parking with one thousand parking spaces. Muelle Uno stores open Monday to Sunday from 10 am to 10 pm. The website of the mall is http://www.muelleuno.com. Continuing the walk the visitor reaches the Lighthouse, the landmark of the Port which will soon be turned into a museum. Further ahead is located the Pier Muelle de Levante with two international terminals where dock the world´s largest cruise ships. Currently there are plans to build a skyscraper hotel at this Pier. The maritime station and the cruise ship docking area are located about 1.5 km from the main entrance of the port. If you have scheduled a cruise we recommend you arrive by car and book parking in advance or access by taxi or private transfer to Malaga Port with sufficient time to avoid delays in the terminal. In addition to these activities we can recommend a boat trip, there are several companies that offer daily tours, some of the boats have a glass floor to watch the seabed. 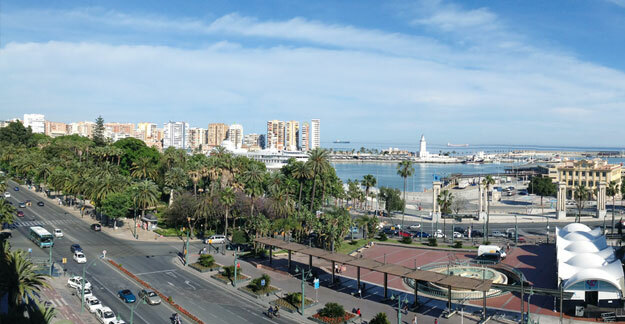 Well visible from many points of Malaga is also the 70 metres high Ferris wheel which allows spectacular 360° views of Malaga and the bay. The Ferris wheel is accessed from Muelle de Heredia. 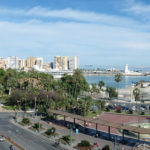 The port is located a few meters from the historic centre of Malaga, about 1.5 km from the railway station and the bus station and about 15 minutes from the airport. The port is connected to two national highways, the A-7 which runs along the coast and the A-45 towards inland regions (Cordoba, Granada, Seville). 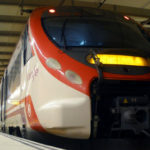 In addition to the cruises there is also a regular ferry line to Melilla. The frequency of the ferry is one daily from October to May and two daily from June to September, the journey time is 8h 30min.